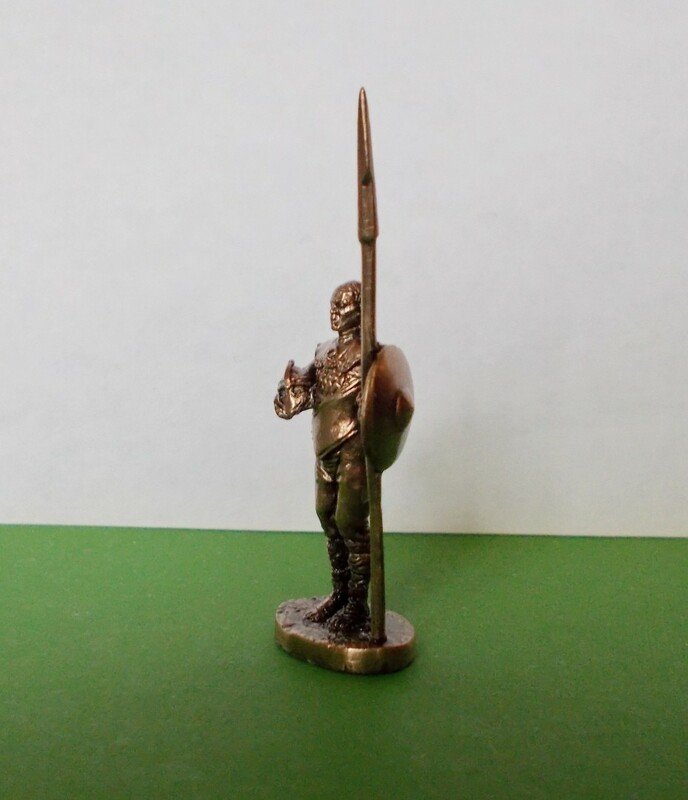 This is a brass figure of Grey Worm, Game Of Thrones show. Grey Worm (Valyrian: Torgo Nudho) is the chosen commander of the Unsullied, the warrior-eunuchs of Astapor whose reputation for combat is without equal. Grey Worm became one of the main advisors to Daenerys Targaryen after she acquires the Unsullied from the Masters of Astapor. He participates in the sack of Astapor, infiltrated Yunkai and led the liberation of Meereen. During the subsequent resistance movement by the Sons of the Harpy, Grey Worm is severely injured in an ambush. After Daenerys leaves Meereen on the back of her dragon, Drogon, Grey Worm remains in Meereen to support Tyrion Lannister's rule of the city while Jorah Mormont and Daario Naharis track down the missing queen. He later falls in love with Daenerys's advisor and handmaiden Missandei. Grey Worm then sails with Daenerys in order to reclaim the Iron Throne. As part of Daenerys' invasion, Grey Worm and his Unsullied capture Casterly Rock.